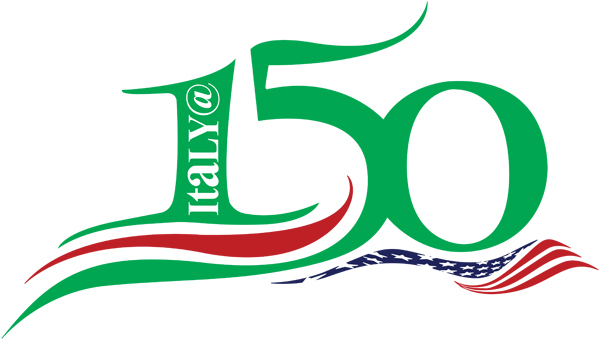 Today, March 6, the District of Columbia Council unanimously passed a resolution recognizing the 150th anniversary of Italy becoming a modern country. 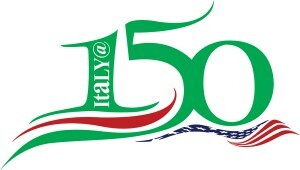 This historic event occurred on March 17, 1861 is officially called the Unification of Italy. 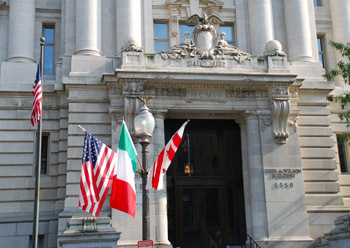 The resolution introduced by Ward 2 Councilmember Jack Evans also recognizes the influence of Italy on Washington architecture, including the U.S. Capitol, the White House, the Supreme Court building and even the D.C. “City Hall,” the John Wilson Building. It also notes the contribution of Italian sculptors and stone masons on Washington landmarks, such as Union Station and the National Cathedral. The resolution recognizes that Washington and Rome are Sister Cities, as of June, 2011. Joe Grano, president of The Rhodes Tavern-DC Heritage Society and proposer of the resolution, praised the Council for its noble action and thanked Jack Evans: “Jack is an outstanding public servant who really cares about Washington as a world-class city.” (For more info. call Communications Director Andrew Huff in Coucilmember Evans’ office at 202-724-8058). Grano also noted how ironic it is that the District has honored Italy for its 150th anniversary as a nation, but the Congress hasn’t, as yet. On February 14, Representative Ben Quayle of Arizona and five other members of the Arizona delegation introduced a resolution in the House “Recognizing February 14, 2012, as the centennial of the State of Arizona” (H.Con.Res. 100), which was referred to the Committee on Oversight and Government Reform. Finally, “A petition, memorial, bill, or resolution excluded under this rule shall be returned to the Member … from whom it was received.” (See page 25 of the Rules under Prohibition on Commemorations and Excluded matters). 3. Will they allow an Italy Resolution, if passed by the Senate, to be voted upon by the House? Tomorrow, Wednesday, March 7, at 12:15 P.M., The Rhodes Tavern-DC Heritage Society will protest the House Ban on Ceremonial Resolutions at the corner of First and C Streets, SE, near the entrance of the Republican National Committee headquarters, opposite the Capitol South Metro station. Now for some unfinished business. Four years ago — July 1, 2008, to be exact — President George W. Bush signed legislation granting Brumidi a posthumous Congressional Gold Medal. But there has been no official awards ceremony. This displeases local history buff Joe Grano, chairman of the Constantino Brumidi appreciation society. Joe notes that on the same day that Bush signed Brumidi’s gold medal legislation, he signed similar legislation for Edward Brooke, the U.S. senator from Massachusetts. Joe said he’s heard talk of holding a medal ceremony in the Capitol visitors center or the Library of Congress, rather than in the Rotunda, which Congress is loath to close for events. “Anything less [than the Rotunda] is really not revering his memory,” Joe said.